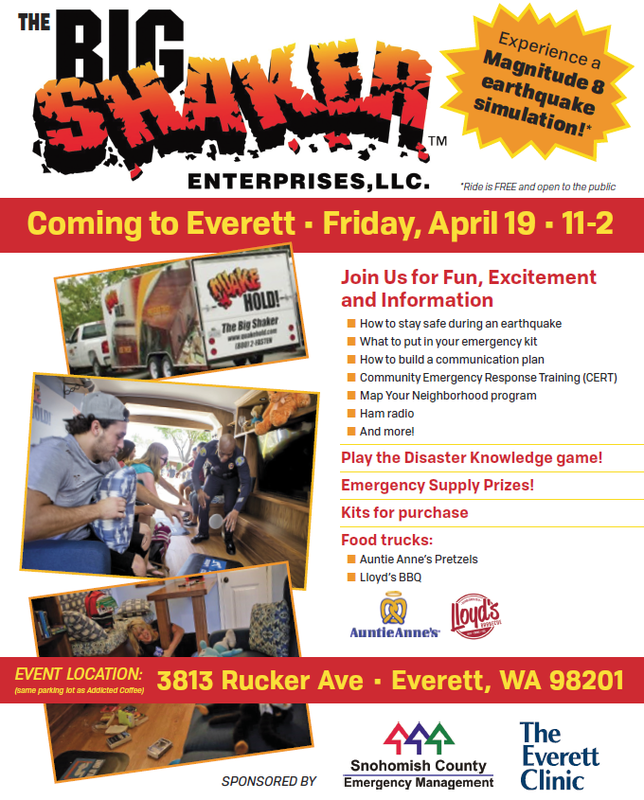 "The Big Shaker" is coming to Everett on Friday, April 19th, 11-2pm at 3813 Rucker Ave, Everett. It is a mobile earthquake simulator that has the ability to produce shaking equivalent to a magnitude 8 earthquake! This free event will include information on the many disaster preparedness resources available throughout the County. Event is co-sponsored by Snohomish County Department of Emergency Management (DEM) and The Everett Clinic. Check out the Big Shaker website and get a sneak peek: http://www.bigshaker.com/index.html.